Boy, was I 'astonished' (pardon the pun! ), to find out about the huge range of products that Astonish have created! 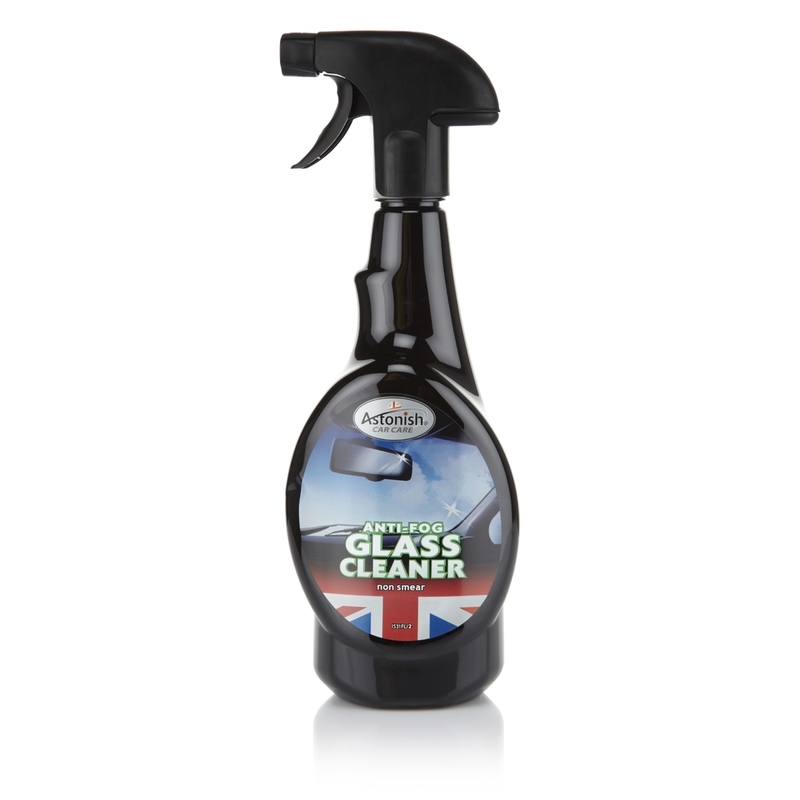 Their products are gentle on our hands, yet strong enough to make removing grime easy! Now over to Nick who works in the marketing department. What does Astonish specialise in selling? We manufacture household cleaning products which include car care products, hand washes, laundry products, cream cleaners and our famous Astonish cleaning paste. We are based in Bradford, West Yorkshire, just of the M606 and M62. As a manufacturer, we sell to the UK market as well as exporting to over 60 countries. The UK market consists of wholesale and retail customers, as well as the public via our online store. What inspired you to create a business that solely focuses on plant-based cleaning products? The founder of Astonish, Alan Moss, wanted to create a household cleaner that was free of any animal derivatives, and one that would not have any effect on the environment. He manufactured the Astonish Oven and Cookware paste from a small factory in Leeds in the late 1960s followed by the vegetarian stain bar soap. Do they work as well as cleaners that use strong chemicals? Don't you need them to get rid of grease, lime-scale etc? Astonish products do have chemicals in them. However, they have not been tested on animals and do not contain any animal ingredients or derivatives of animals. We also do not use suppliers who test on animals. All our products are approved by BUAV and The Vegetarian Society. The "Leaping Bunny" Cruelty Free symbol can be found on all our packaging along with the official stamp of Vegsoc. We are registered with the Vegan Society. All Astonish products are biodegradable. Where ingredients less harmful to people and the environment exist, our product development team works hard to substitute them whilst maintaining the high product performance that our customers have come to expect. Astonish focuses on minimising the organisation's environmental impact and has an ongoing commitment to running an efficient, environmentally friendly operation. All Astonish products are manufactured in compliance with ISO 9001 and the BRC standard for consumer products. We always try to reduce the volume and improve the efficiency of our products. For example, our Non Bio Laundry Liquid has been improved to produce a more concentrated and efficient product. The original formulation would have given the customer 14 standard wash loads whilst the new formulation gives 28 standard wash loads in a 840ml bottle. Based on Laundry sales for the last 12 months, it would have taken the equivalent of 91 full trailers to distribute the old formulation, compared to 49 lorries with the new formulation. All our laundry products are Phosphate free and we do not use palm oil in any of our products. All of our packaging is fully recyclable and we do not use aerosols. Wherever possible Astonish implements a policy of back hauling for delivery. Instead of sending out our lorries to make deliveries we work closely with our customers to use their lorries which are already out making deliveries to collect stock. Sourcing cruelty free products in not very easy, a lot of effort is made to make sure the ingredients that we use are cruelty free. We conduct research and continuously evaluate what we use, to ensure that we only use cruelty free ingredients. On occasion we have had to go without certain ingredients as they are not cruelty free, but we are proud of our efforts and would not change them. Do the 'different' ingredients effect the outcome of the item? Does the user need more of it? Do they need to use more muscle power? Alternative ingredients will not change the performance of Astonish products, certain stains may need extra elbow grease to clean off, but we are tried and tested against the leading brands and come out on top for performance and results. There are always ingredients available that are cruelty free and vegan, we would never take short cuts or change from our ethical path. How do you encourage, for example, cleaning companies, to buy and use Astonish products? Astonish products are ethically sound, we have invested time and money into sourcing cruelty free ingredients to formulate meat free cleaning products, the only testing we do is on filthy, muck and dirt stained surfaces. We also work hard on making the price affordable starting with the wholesalers who purchase from us to sell to business and consumers in the public domain. Are there any cost implications for companies or individuals who want to use Astonish products? There are no cost implications for investing in Astonish, we work to a keen price to make it affordable to buy. Our products are cheap in price but rich in quality! No, we are a family run business, which was started by my Uncle in the late 1960s. It is now run by his son Howard, who is my cousin. All Astonish products are manufactured in one place. The first Astonish product was the Oven and Cookware Cleaning paste, developed by Alan Moss in the late 1960's. Alan wanted to create a cleaning product that was unlike others around at the time. He produced a cleaning product that was biodegradable, a word rarely used in the 60's and also a product that was safe to touch i.e. it didn't contain harmful chemicals nor did it release any poisonous fumes when using it. Another pioneering decision at the time was to create a paste that had no meat derivatives in the formula. Once the paste was formed, Alan would demonstrate the "magic" paste at trade shows all across the country, eventually departments stores and a variety of Supermarkets began to make large orders. In the early 1980's Astonish developed new cleaners, again with the same ethical standards as the original paste. Alan formed ties with PETA, as an animal lover himself, he wanted to show his support, as well as the company's to prove that manufacturing cleaning products doesn't have to affect the environment or any other living creature. What is your vision for the future of Astonish? Now into 2014, Astonish is very excited at the prospect of selling the range in all the main supermarket chains across the UK, as well as keeping up the great relationship we have with all the discount chains and wholesalers that have sold Astonish for a number of years now. The export side of the business is also growing, with new countries discovering the quality of Astonish, as well as embracing our ethics. We are looking to increase the export business by 40% over the next 5 years as countries such as USA, Russia and the Middle East. 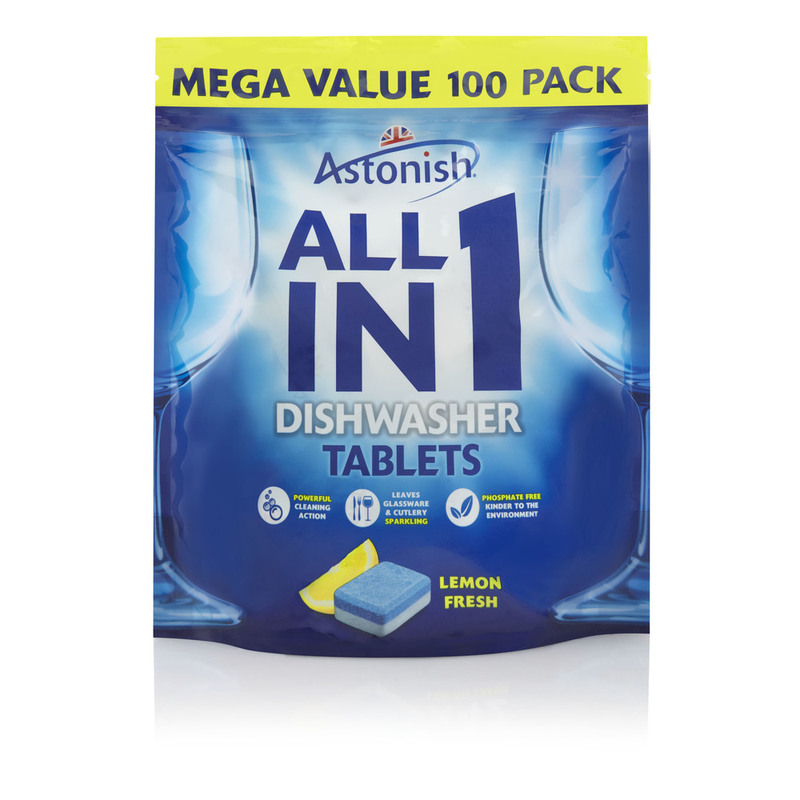 Astonish are offering a 10% reduction on whatever you buy. It will be valid for one month from today's date. It will be available orders placed for UK and USA that total £10 or more.